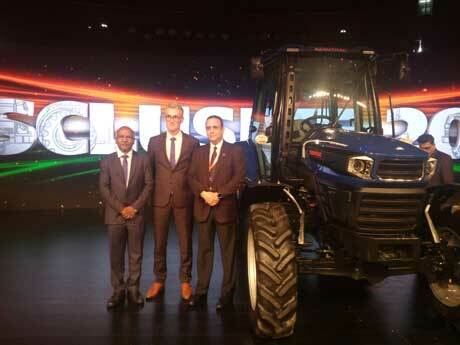 New Delhi: WABCO, a leading global supplier of technologies that improve the safety, efficiency and connectivity of commercial vehicles, trailers and off-highway equipment, today showcased a new and innovative automated agricultural tractor concept at ‘Esclusive 2018’ technology event, hosted by Escorts in New Delhi. Escorts Limited is a leading Indian engineering company that operates in the agri-machinery, construction equipment, and railway equipment sectors. As a key technology partner to Escorts, WABCO presented a breakthrough integration concept to support new automated agricultural tractors. 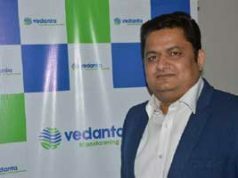 WABCO is the industry’s first supplier to provide an innovative system integration solution in India which combines a tractor’s major functionalities including Automated Manual Transmission (AMT), braking control, steering control, path control, implement control and Independent Power Take-Off (IPTO). 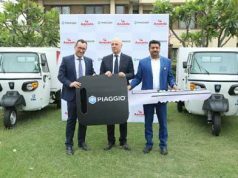 “WABCO is proud to partner with Escorts to support the development of the new automated agricultural tractor concept in India,” said P Kaniappan, WABCO India, President and Managing Director. “With a comprehensive portfolio of industry-leading technologies, WABCO has a clear roadmap to support the commercial vehicle industry’s vision for increasingly automated, connected and electric vehicles, both on and off-highway. Leveraging our global capabilities, we are delighted to extend WABCO’s advanced technologies to support India’s important off-highway segment. 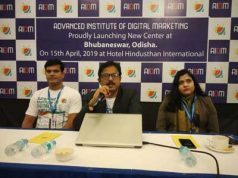 Innovations such as Autotrac will aid Escorts in transforming farm mechanization and will ultimately help support the agricultural sector through enhanced efficiency,” added P Kaniappan. “WABCO has a growing presence in the strategically important off-highway sector with a wide range of advanced technologies to support the industry,” said Hubert Flahaux, WABCO Vice President, Off Highway Business Unit. “We are leveraging our systems integration expertise by combining automated manual transmission, automated braking and active steering with precision path control for this innovative concept. This will pave the way for higher levels of vehicle automation” added Hubert Flahaux. WABCO is the first supplier to develop the concept of integrating automated manual transmission (AMT) in the Agricultural tractor in India. By partnering with Escorts and successfully demonstrating the automated tractor concept, WABCO is playing a pioneering role in supporting the development of this unique technology concept in India.